Can Gay Rights and Christianity Co-Exist? Some subjects stimulate the heart and not the mind and others stimulate the mind and not the heart. Then there are those that do both – to an extreme. Today we have such a subject: gay rights, gay marriage and Christianity. How should we view these things? Should we be redefining our vision of families? Should we be focusing on being compassionate and understanding? How much of the Bible is relevant to this issue here in the 21st century? Stay with us as we honestly and respectfully take this journey. What Hope Can There Be in the Face of Such Tragedy? Here we are just a few days before Christmas 2012. This is a time when there is usually a magic in the air, an excitement for friends, family and good cheer. Usually, that is the case – but not this year. No, not this year. Something happened, and as a result the giddy joy is gone. We have suffered a great loss. A few short days ago, an unimaginable crime was committed and 27 people, 20 of them 6-and 7-year old children, had their lives taken from them, brutally and without mercy. Today we honor their memory and recognize the pain of their grief-stricken families and friends. Today we also search to find how the hope of the true meaning of Christmas can give us – all of us - strength to cope, strength to stand, and strength to begin to move forward. A few weeks ago, we began looking into Islam to try and understand what its principles are as we witness the effects of radical Muslim extremists on our world today. 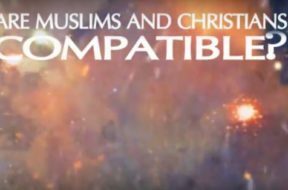 We examined Islam’s peaceful approach to life and some of the similarities to Judaism and Christianity. This morning we will ask: What about Jihad? Who exactly was Mohammad? Who was the promised seed? What about Sharia law? What’s the difference between Sunni and Shiite? 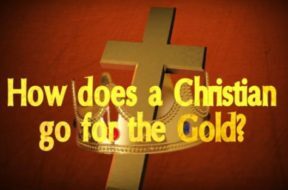 Are Christians Competing for Gold? Every fourth summer for two plus weeks we have the opportunity to watch the Olympic games. It is a chance to witness excellence in motion, competition at its peak and sportsmanship on a worldwide scale. We get to witness the world’s best athletes as they put the fruits of their life focus on display in order to be crowned the best of best of the best. Does the life of a Christian mirror any of this? Are we called to live the same kind of discipline and intensity that an Olympic athlete lives? Stay with us as we celebrate the very best of the human form and we investigate the very highest of human aspiration! Why Didn’t God Stop the Movie Theater Massacre? It happened just a few short weeks ago, but by now we are almost de-sensitized to the horror. In many ways we can feel like it’s just another story of a senseless killer randomly taking lives. But it’s not – what it is, is a chronicle of a world filled with inequity and evil, in which those who are innocent suffer and die and there are no real answers as to how to stop it. Is there someone to blame? Is it parenting? Is it education? Is it religion? Is it atheism? Is it freedom? Is it guns? Is it easy access to violence? Is it God? 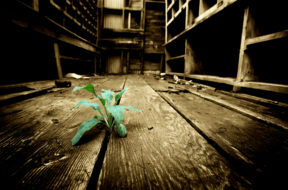 How do we begin to put these tragedies into some perspective? Stay with us – there IS an answer!